So you’re building or remodeling, and considering investing in a new wood floor? We commend your choice. A good wood floor will reward you with warm, natural beauty and a healthy indoor environment for as long as you own your home. But in order for this to happen, you must be sure that your new wood floor is properly installed. If it is not, things can and do go wrong that can ruin its appearance and require costly repair or even replacement. As the following story illustrates, mistakes made during the installation process don’t always manifest into problems until months later. But when they do, the results can be heartbreaking. Cathy and Sam had just built the home of their dreams. A rustic modern split level located on a quiet cul‐de‐sac, the house was perfect in every detail, from the granite countertops to the beautiful oak floors throughout the living room, dining room, and all four bedrooms. 13 months later, Cathy noticed something odd about the floor. Instead of the smooth, flat expanse that it had been when first installed, it looked strangely uneven. The edges of each board were curling upwards, making her once beautiful floor look like a piece of corduroy. Cathy wasted no time in calling the contractor who had installed her floors. “We’re sorry,” she was told. “Our installation guarantee is only good for 12 months. Your floor is out of warranty.” Cathy and Sam ended up hiring another company to repair the floor. They were actually lucky. Their cupping problem was not severe enough to require a complete floor replacement. But the repair set them back several thousand dollars, not to mention the time and hassle of moving all their furniture out and back in. My name is Anthony Palandro. Since 1972, I’ve lived and breathed floors. Besides installing thousands of floors myself and holding multiple flooring installation certifications, I’ve been the installation instructor for the North American Laminate Floor Association, Pergo, and Kahrs International. I have also consulted on installation issues for several major flooring manufacturers, including Pergo, Kahrs, Expanko Cork, and Capri Cork. 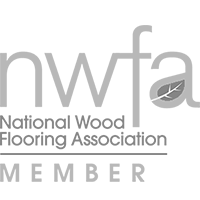 As a certified flooring inspector through the National Wood Flooring Association, I have inspected hundreds of wood floors. Most of them will reward their owners with lasting beauty and stand up to decades of use. But unfortunately, not all. I could tell you many more stories like Cathy and Sam’s. Floors that buckled, cracked or shifted within the first year after installation ‐ some so unsightly that they had to be replaced completely. I’ve even testified in court on behalf of homeowners who experienced devastating damage to their floors due to mistakes and oversights made during the installation process. The vast majority of these problems happened not because of factory defects, but because the installers cut corners or weren’t properly trained. In almost every case, the floor failure could have been prevented through proper installation techniques. 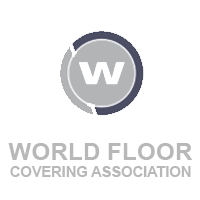 That’s why I’ve written this report – to equip you as the homeowner with the basic knowledge about wood floors you need in order to make an informed choice of installer, so you will avoid problems with your new floor and end up with the “forever floor” you expect and deserve. Cupping – This defect occurs when the sides of each board curl upwards. Crowning – Boards that pull upwards in the middle, so the floor appears ribbed. Checking – Multiple short lengthwise cracks on the surface of a board. Cracking/Splitting – deep cracks in a floor board, usually occurring at the ends. Delamination – In an engineered wood board, a separation between the veneer and interior layers. Dents and divits – Damage to the wood surface caused by mechanical impact. Finish irregularities – Bubbles, streaks and other imperfections in the finish. Gapping – Shrinkage of the floorboards, creating gaps or spaces between boards. These wood flooring defects spoil the appearance of a wood floor and in some cases result in structural damage. However, with the right flooring installation techniques they are completely preventable. Not considering the lifestyle of the occupants. Aesthetics are important, but they are not the only thing your hardwood floor installer should ask about. An experienced installer should ask specific questions about your lifestyle before helping you select a flooring style. For instance, do you have pets or kids? Do you wear high heels? If so, you may want a floor that ranks higher on the hardness scale to minimize dents and nicks from pet claws, dropped toys, and high heeled shoes. Be careful, though. Hardness is only one factor. For instance, oak has a hardness of 1280 on the Janka scale, and hard maple 1450. If you are concerned about dents you might be inclined to choose maple. However, the hardness scale alonedoesn’t tell you that maple will actually show dents more readily than oak. A wood flooring expert can help determine which species will work best for you. Moisture damage to the floor caused by installing hardwood over particle board or other materials that tend to absorb water. Failure to use the correct fasteners (staples or cleats). Improper fastener use can lead to splitting and other problems. Which fastener type, and at what pressure, can be safely used on a floor depends on a number of factors, including floor type (engineered or solid); species (some woods are denser, more absorbent of moisture, and/or more prone to splitting than others); thickness; and climate. Not using proper finishing techniques. Much of the wood flooring available these days comes pre‐finished from the factory. However, if you use flooring that is finished on site it is important to be sure the installation crew has been properly trained in how to sand and apply finish to fine wood floors. A well‐trained professional crew will use the proper equipment and techniques to achieve a smooth, even surface, and avoid the sander marks, streaks and finish blemishes common in amateur work. Failure to properly acclimate the floor. This is the #1 flooring installation mistake I see – even on jobs done by professional installers. If you have ever worked with wood, you may have already realized that many of the wood flooring defects mentioned above are the direct result of one common cause: improper levels of moisture in the wood. Failure to account for this causes more damage than all the other flooring installation mistakes put together. In fact, this one issue is so important that I want to be sure you understand it well enough to know when your floor is not being prepared as it should be. Having a solid basic understanding of how and why wood reacts to its environment will help you make wise consumer choices when it comes to your floor. First, it’s helpful to give you a little background about the material we’re working with: wood. ‘Hygroscopic’ is a fancy word for a material that pulls water into itself from the air. Because of this moisture‐holding capacity, hygroscopic materials change shape and size in response to variations in moisture, temperature and humidity in the surrounding environment. Picture in your mind a sponge. As it soaks up water, it swells and becomes larger. Wood behaves in much the same way. Unlike water and sponges, though, water and wood don’t play well together. air and the door has become slightly too large for its frame. Come winter, when the air is dry, the same door will shrink back to size and close freely again. The same principle applies to the wood in your floor. If dry wood is installed in a home that has a higher average humidity, it can swell over time and develop problems like buckling, cupping and crowning. On the other hand, if the installed wood has much higher moisture content than the surrounding environment, it will shrink over time. This can result in issues like splitting, checking and gapping. Knowing this principle, can you see the need to acclimate wood flooring properly before installation? Before it is fastened into place, wood flooring simply needs to reach a moisture content level in equilibrium with the surrounding environment in which it will be installed, at or near normal living conditions. That way, dimensional changes due to moisture will be kept to a minimum. Of course, it is impossible to maintain a 100% constant environment in any home. Proper installation depends not only on the moisture content of the wood and the environmental conditions at the time of installation, but also on expected seasonal changes in temperature and humidity at that location — changes that may cause the wood flooring to gain or lose moisture content over time. Such changes are likely to occur even if the building occupants maintain interior environmental conditions through use of a heating and/or air‐conditioning system. Species: Different species of wood react differently to environmental changes. Most woods are assigned a shrinkage coefficient by the US Forest Products laboratory. For instance, red oak is .00369, hickory is .00411 and cherry is .00248. The higher the number the more the wood will move, expand and contract, with changes in the relative humidity, as much as a 2‐1/2” wide board. Board width: The wider the board, the greater the expansion and contraction. As a rule of thumb, a 5” board will move twice as much as a 2‐1/2” wide board. Construction: Traditionally, flooring boards were made from solid pieces of wood. Today, solid wood flooring is still readily available. However, many reputable flooring companies now offer wood flooring that is specially engineered to be more dimensionally stable. Not to be confused with laminate flooring, engineered wood flooring utilizes wood veneers to retain the beauty of natural wood, over a backing designed to be extremely stable despite changes in temperature and humidity. A competent installer needs to accurately estimate how much shrinkage and expansion to allow for in any given installation. He will also use installation methods that allow this movement to happen without damage to the floor. Choosing a product that is a good match for conditions, in terms of species, board width, and construction. In addition, we believe that your experience during the installation process should be as clean and hassle‐free as your floor itself. Maintaining a respectful appearance, clean work area, and polite demeanor are part of the job at Spire! Wondering which wood flooring choices will compliment your home and lifestyle? Contact us and tell us about your needs, or call us at (484) 422-8817. 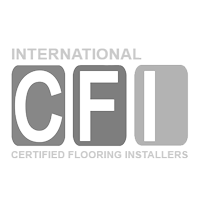 One of our certified flooring experts will be in touch with you right away.